Highlights from our final day of #CAEH18 in Hamilton. 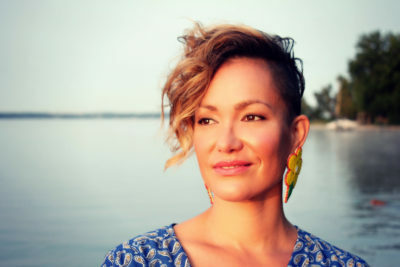 Featuring warrior Waneek Horn-Miller, Inuk Juno Award winner Susan Aglukark and finding our empathy to lift people up. Today was the last day of our National Conference on Ending Homelessness. Join us next year in Edmonton! The morning began with an emotional tribute to the lives lost to homelessness in Hamilton’s inaugural Memorial Service following the Sunset Ceremony at city hall. People listened to inspiring words from Katrina who shared her harrowing experience of being homeless. Then people rang bells facing East and spoke the names of those whose lives were cut far too short from homelessness. It was a healing moment to start the final day of the National Conference on Ending Homelessness before 8 a.m. The City of Hamilton will annually hold such a Memorial Service honouring the lives unnecessarily lost to homelessness until it ends for good. Knowledge Keeper Clayton Shirt opened up our morning plenary with a prayer. He reminded us that we are all human beings first. He prayed for everyone to have a safe journey home. Then special keynote Waneek Horn-Miller took the stage and brought with her a lifetime of incredible experiences including trauma she experienced fighting for Indigenous rights as a youth and being speared through the chest by a Canadian soldier’s bayonet during the 1990 OKA Crisis. She knows what it means to be an Indigenous person in Canada. But she also knows she wants to leave the world a better place than she found it as her mother has before her–a well known Indigenous activist who fought the white paper that would have stripped Indigenous people of rights in 1969. But her message was one of hope and inspiration–and ultimately a call to strength, empathy and respect for everyone. We’re humans first. She shared a special word from her language: Kanoronhkwatshera, which means the ultimate power/energy in the world. “I know empathy is alive,” she says. “We wouldn’t be here unless you believed that this country could be something different. Watch Waneek’s inspiring presentation that earned her a warm standing ovation. Final sessions saw folks connecting, networking and continuing to share on best approaches to end homelessness for good. 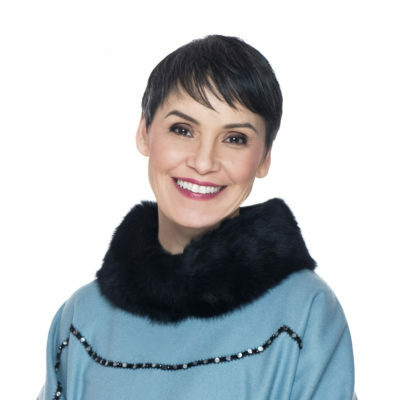 Then our final ceremony was capped off by the incredible Susan Aglukark. The Inuk singer-songwriter and Juno award winner, talked about how to fundamentally come back from a broken place. She notes how as babies we’re all born equal but as we grow up we find ourselves experiencing very different levels of equality. But it can come from healing our dignity–and for her it came from choosing healing over pursuing celebrity life. She sang O Siem live to more than 1,000 people and other hit songs. People were dancing between the tables at the Hamilton Convention Centre. Tim Richter, our president & CEO, announced next year’s conference will be in Edmonton! He challenged everyone to act so that when they return to the National Conference on Ending Homelessness in 2019 they can say they helped reduce homelessness in their communities so that one day we won’t have a conference because we won’t need it! We are so excited to bring next year’s National Conference on Ending Homelessness to Edmonton! Planning has already begun for the 2019 National Conference on Ending Homelessness. We want to hear from you. This year we made several changes to the conference based on your feedback. We want to make #CAEH19 in Edmonton even better. Please take a few minutes to fill out this survey. Responses received before November 30th will be entered into a draw for one complimentary registration to #CAEH19. Be sure to check our conference website – we will be posting presentations from CAEH18 by early December and we’ll have a Call for Presentations out early in the New Year. 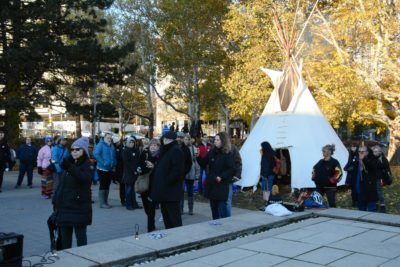 Also, visit and like the CAEH Facebook page, Instagram and Twitter accounts for some great photos and videos from the conference. Thank you for joining us at CAEH18!